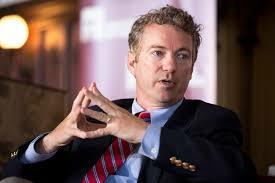 Rand Paul has one last question for CIA director nominee Gina Haspel: Was she at all involved with any surveillance of President Donald Trump during the 2016 presidential campaign? The Kentucky senator sent Haspel a letteron Tuesday laying out his suspicions. The missive amounts to a last-minute effort to derail Haspel before her expected confirmation by attempting to get the president’s own CIA nominee to admit to being aware of the intelligence community monitoring the president. Trump in 2017 accused former President Barack Obama of having his “wires tapped” in Trump Tower in New York. The Justice Department later said there was no evidence of any such wiretaps. One Trump campaign adviser, Carter Page, was the subject of FBI surveillance, and other Trump advisers had conversations with people who were being monitored. 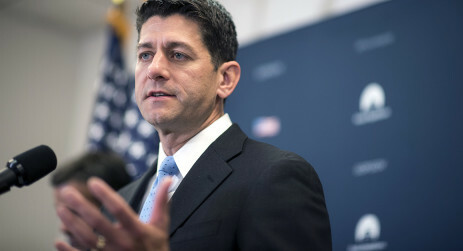 RACINE, Wis. — Paul Ryan was one of most popular Republicans in the country last fall, routing his Democratic challenger and beating back a Donald Trump-inspired primary challenger who trolled him at every turn. Yet there he was, taking flak from discontent constituents at a town hall in Racine on Monday night. Sen. Rand Paul’s days-long quest to find the House Republican bill to repeal and replace Obamacare was derided by GOP lawmakers as a “publicity stunt,” but it might just put the Kentucky congressman back in the mix when it comes to influencing Congress as it prepares to make a series of key policy decisions. Like other Republican presidential contenders, Paul’s showmanship was consistently upstaged by Donald Trump’s last year. But Paul has a knack for putting himself in the center of the conversation.